POLISH-Australian documentary filmmaker Sophia Turkiewicz had long wanted to find the real back story about her mother’s troubled times before and during World War 2. Helen had come to Australia via Poland, a Siberian gulag labour prison and a British refugee camp in what’s now Zambia. Even though Helen was illiterate Sophia had grown up listening to her mother’s stories. 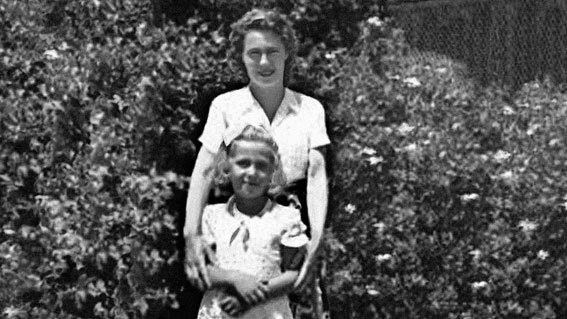 Except for two years from the age of seven when single mother Helen – finding things tough to cope with – had placed Sophia in an Adelaide orphanage. The little girl waited for the tram to come on Sundays, the tram which was bringing her mother to the orphanage for the weekly visit. So in adulthood Sophia tried to unravel why her mother had abandoned her for 24 months and what had happened to Helen during the period of brutal German and Russian regimes. As a child, Helen had lived in the streets and on a farm in rural Poland before she was taken to a Russian gulag. Eventually she wound up in a British refugee camp in Zambia – known as Northern Rhodesia then – and becomes pregnant with Sophie. As absorbing as the back history is, it’s Sophia’s story of growing up in Australia which is also amazing. As a young girl and then a teenager she’s pretty embarrassed by her mother who can’t speak much English and is uneducated. Sophia is rebellious, difficult for her peers and teachers to handle, let alone like, and generally somewhat uneasy not only with herself, but more importantly with her mother. Finally with Helen in an aged care facility, suffering from dementia and unable to fully recognize her during some visits, Sophia acknowledges the unstated heroism of the woman she’d often resented for long periods of her childhood and teenage years. The filmmaker had shot the beginning of a documentary about her mother in 1976. But the project remained unfinished as Sophia went on to make the acclaimed Silver City which was nominated for 11 AFI awards. By 2007 she realised how bad Helen’s dementia was becoming. So she dragged the unfinished 1976 film from her attic and resolved to finish it, making numerous trips back to Adelaide from Sydney to be with her ageing mother. This entry was posted in Movies and tagged Once My Mother, Richard Jones, Sophia Turkiewicz. Bookmark the permalink. Thanks. I will track this down.